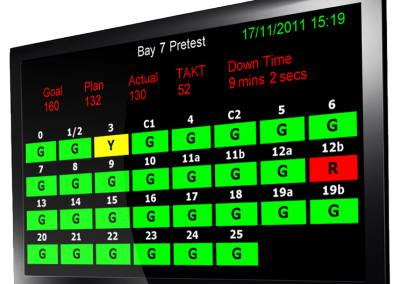 Use the StatusWatch Line Sign application to see more of your facility at a glance. View any number of screens in rotation and know instantly where assistance is needed. The StatusWatch Line Sign application integrates seamlessly with StatusWatch Production Monitoring Software and StatusLight Smart Andons. 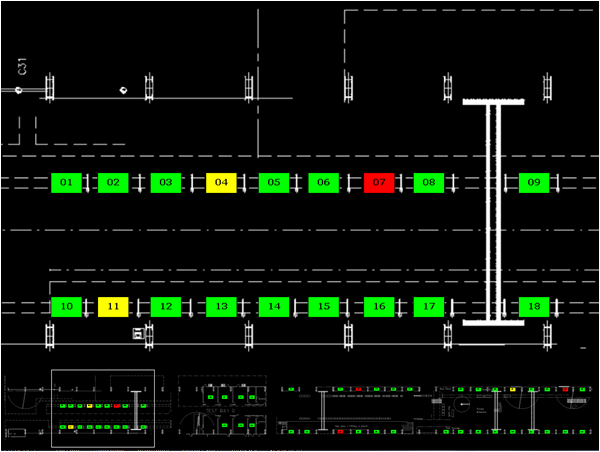 Display the status of many of your machines or andon devices in real-time. Instantly discovering problem areas with the Line Sign application will help minimize your asset’s total downtime. The flexibility of the StatusWatch Line Sign application allows for topographical views of your facility. You may also choose relevant web pages and other desired documents to display on your Line Sign. These multiple screens of information can cycle through on a customizable timer. The Line Sign will help you keep track of the daily progress of your assets. 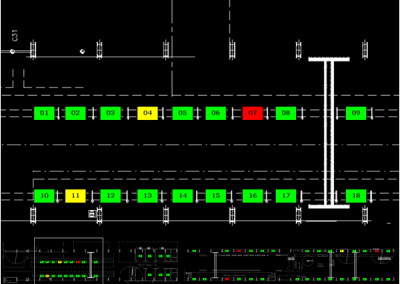 Calculate performance metrics using data from multiple stations and display them for all to see. 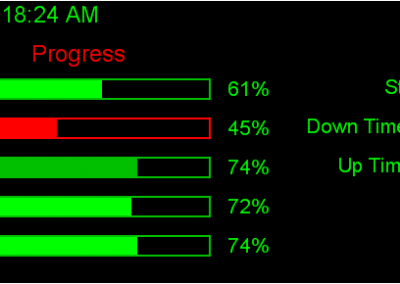 The StatusWatch Line Sign supports OPC and StatusWatch data. Management and configuration is easy using a simple setting interface. Setup your Line Sign on a desktop computer and then deploy it in minutes using One-Click Client Installation. 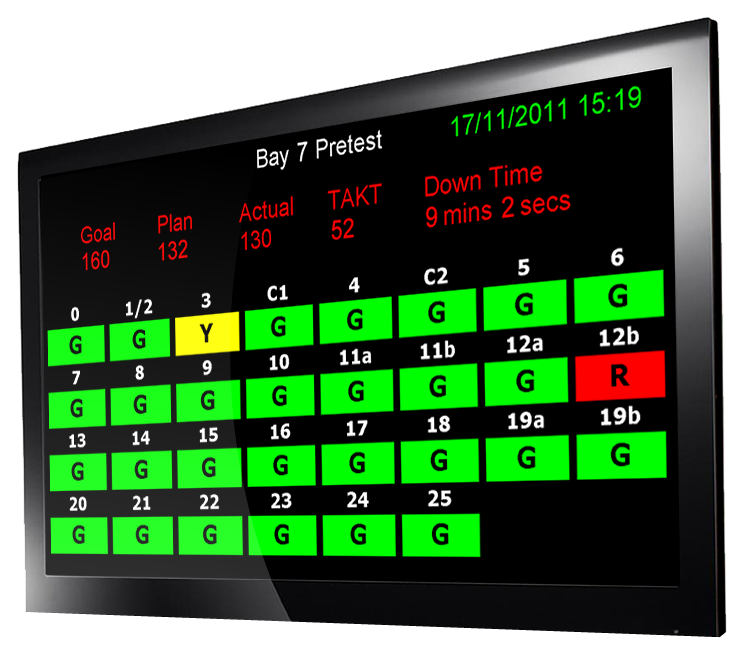 The client application supports both LCD and LED displays.